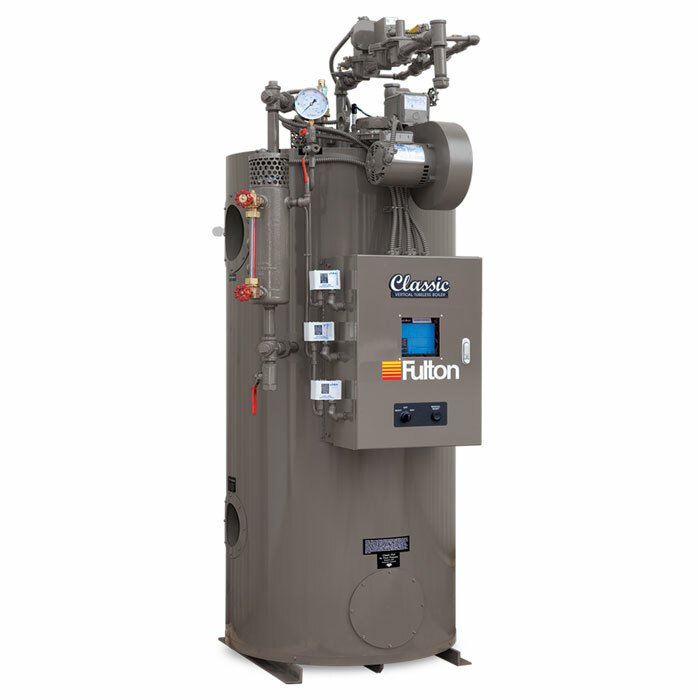 Fulton Boilers | Hercules Machinery, Inc.
Fulton makes Gas-Fired, Oil-Fired and Combination Gas/Oil Fired Steam Boilers. Fulton also makes Horizontal and Vertical Return Systems and Blow Down Separators. Every Fulton Boiler is built and stamped to the ASME Code and registered with the National Board of Boiler and Pressure Vessel Inspectors. Fulton boilers are UL Listed packaged boilers – not just the burner or electrial components – the entire boiler and they are CSA approved. A vertical tubeless boiler is a relatively simple design, offering years of trouble-free operation. There are no tubes or coils to rust or burn out periodically, therefore, no retubing costs, no downtime. No downtime means increased productivity.